In November, Long Now co-founder Stewart Brand wrote a letter to Long Now board member Esther Dyson as part of the Artangel Longplayer Letters series. The series is a relay-style correspondence: The first letter was written by Brian Eno to Taleb. Taleb then wrote to Stewart Brand, and Stewart wrote to Esther Dyson. Esther’s response is now addressed to Carne Ross, who will respond with a letter to a recipient of his choosing. The discussion thus far has focused on how humanity can increase technological capacity to meet real global needs without incurring catastrophic unintended consequences. You can find the previous correspondences here. I’ve been reading Stewart’s letter about science and technology and the long-term, but the thing that concerns me more – and that you, Carne, understand – is how society can work collectively to make long-term decisions in the first place. There are big issues that we need to address, but first we need to find the wisdom to address them together. Right now, we are getting better and better at manipulating the world with finer and finer precision towards local optima, sacrificing longer-term gains we may discount or be unaware of. We think in examples rather than in statistics. We are intrigued by stories and narratives rather than structures and dynamics. We study techniques of manipulation to acquire power rather than to produce empowerment. The Internet lets us see the whole world across distances with greater precision, but – like a telescope – with a smaller field of vision. How can we think and then act long-term ? In the last few months, we’ve seen a variety of big-deal political moves: revolutions (Ukraine), reversions to authoritarianism and censorship (Turkey), revolutionary backsliding (Egypt), civil war (Syria) and a variety of conflicts so messy they don’t have recognizable descriptions. When things get too bad, there is a revolution or some kind of power change at the top, but neither generally does much good. Often the new leaders negotiate with the ousted incumbents for ruling roles, bargaining among themselves over the spoils, while the people who supposedly chose them to lead have little say in the process. The people have enough power to get rid of the old guys, but they don’t have the institutional capacity to head the government or to take over its body, its administrative institutions. As Martin Wolf says in the Financial Times, liberal democracies need responsible citizens, disinterested guardians, open markets and just laws. But beyond that, they need to deliver effective services. They must provide schools, infrastructure (this now includes broadband internet), courts, police, garbage collection, health care and street lights. These bureaucracies work more or less, even though they are often corrupt, but you can’t clean them up and replace them from the center as easily as you can trade power from one autocrat to another. Indeed, in most places I see little hope of good, long-term-focused government emerging from within federal governments and national parties, which are too big, too ponderous and increasingly too distant from the daily lives of most people. National governments are not fertile ground for effective governance, nor are they close enough to the people to deliver services effectively. By contrast, cities are beginning to take on more of the task of delivering services that matter and are becoming increasingly accountable to their residents. They cannot fulfill all the functions of a central government, but perhaps cities can show us the way. It is in cities that a new set of trained, uncorrupted politicians and public servants can emerge, under the closer watch of each city’s residents. Like entrepreneurs, cities can innovate, in a way that central governments (and large businesses) cannot. I see lots of interesting initiatives being taken by cities and their mayors, who often don’t follow national party lines or interests: from former Mayor Bloomberg in New York City, trying to improve the city’s eating habits; to London’s congestion zones which charge fees for cars entering the city to Stockholm’s toll bridges (where polls taken before the toll was imposed showed a majority against the change, but I heard of one poll taken after the change reporting that a majority had supported the change from the start!). There’s also a new interest in cities among good-government advocates, philanthropies and other long-term actors. From economist Paul Romer, with his Charter Cities project to the New Cities Foundation; from CodeforAmerica to CityMart and Urban.us, two online marketplaces for city services; from Michael Bloomberg to Ken Livingstone, practical idealists are focusing on building city governments rather than overthrowing national ones. When some future revolution comes, perhaps these city governments will scale up and create the systems that can both govern and deliver on a national scale. Cities can make rules that would be intrusive if imposed by a national government, such as building codes, control of the provision and pricing of internet bandwidth, requirements for posting nutritional information and the like. Because people are free to move from city to city in a way that they may not be able to move from country to country, both legally and practically, cities are constrained by competitive forces that do not apply to national governments. At the same time, locally or nationally, government activities and the behavior of government officials are both becoming increasingly visible with much help from the internet and social media. While national-scale data may seem irrelevant to many people, local data are endlessly fascinating, whether these relate to how much some politician paid for a particular piece of real estate – and amazingly, it just happens to be near a new transport hub – or the relative test scores of five local schools. Whether longtime residents or a new generation of CodeforAmerica techies, city voters can check their phones to find out when the next bus will arrive and they can check a website to find out how many buses are late each month. They can pay for their monthly transit pass with a credit card, and they usuallly pay less than people from out of town who buy just one ticket at a time. They can find out what percentage of their neighbors consume more or less electricity than they do, and they can compare this year’s statistics with last year’s. Transparency at this level is more meaningful than either national statistics or neighborhood gossip. It gives people the ability to see the present in context, both in the local context of one’s neighbors and also the larger context of the wider world. Ideally, it also gives them the ability to see the present in the context of the past and of the future. Data that you can change – by how you behave or vote or agitate – may have more meaning yet. The moment people feel they have a finger on the scale – not the scale of justice, but the one that measures out the benefits they receive – they will take more interest. With luck, people will develop a taste for government that is transparently responsive rather than corruption-driven. Civil servants will grow to become customer-driven, just as businesses are. That still leaves the challenge of getting those citizens to think long-term: to demand good schools rather than lower taxes, to favor public transit over parking lots. In fact, it’s all about interactions of scale: The world has become overwhelmingly large while the data are becoming increasingly fine-grained. When the data are relevant, they make more sense to people. When the data are local, people see something that they could influence. But people also need to add the fourth dimension: If you can measure short-term performance too precisely, you may forget about long-term impacts. As it happens, I’m using cities – or small towns, anyway – in a crazily ambitious experiment to get people to think and act long-term for the sake of their own health. After much thinking on how to encourage people to think long-term – which of course they all know they should do – I concluded that the best way to change the time scale of people’s thinking about their own health was to show the impact of health-producing measures. Ideally the data can work both as evidence, guiding society in the infrastructure and perhaps even regulations it creates, and also as inspiration to individuals struggling to resist temptations. The basic mechanism is a contest, called The Way to Wellville and loosely modeled on the X Prize, of five places, with five metrics, over five years. It’s a cheesy publicity-seeking stunt designed for our short-attention culture, but with underlying long-term premises. The metrics on which the communities will compete include both ‘health’ measures such as health-care costs per capita, transitions to diabetes, measures of dental and mental health, and the impacts of health, such as high-school graduation rates and absenteeism. The way to change, we believe, is not just with things like quantified-self tools, which let you examine your own health and activity levels, but with something closer to ‘quantified community’, examining and changing the role that a community plays in its members’ health. The contest, The Way to Wellville, will get the five communities to compete to improve their own health. We’re not telling them what to do; we’re just supplying a goal and managing the measurement process. We’ll help the communities track themselves – and their competitors – to see the impact of each community’s collective behavior. Five years may sound pathetic in terms of long-term thinking, but it’s longer than the span most health-insurance companies use in their calculations, and my hope is that the improvements visible after a mere five years will encourage people to recognize the value of long-term thinking about health and therefore to think longer still. It turns out that community affordances have a huge impact on individual outcomes, but until now most of that hasn’t been visible to the naked eye. Studies show that walking to a bus makes people healthier than driving a car, that children whose parents are afraid of crime tend to stay inside and get obese, that people who live in polluted areas get respiratory diseases or even cancer, and of course that people who live in ‘food swamps’ (with bad food, as opposed to ‘food deserts’ with no food) tend to be unhealthier in the long-term. Indeed, their medical care over time will cost more than good food would have cost in the first place. On one of our field trips to Niagara Falls, we discovered that the smoking rate there is thirty-seven percent versus a United States average of around eighteen percent. Why? Because there’s a Native American casino nearby that benefits from a federal US tax exemption that allows them to sell cigarettes tax-free: A national policy that has horrible consequences locally! It proves, for better or worse, how closely behavior is connected with incentives. As I noted, one of the big problems of the current age is our collective ability to manipulate people. I am not referring just to politicians: Advertisers and food manufacturers can influence our tastes and even use our body chemistry, evolved though millennia of shortages, to like foods that are not good for us in their present abundance. The fitness landscape has changed, and we are all stuck in local optima, consuming more than enough to survive in the short term and reducing our health prospects in the long-term. Thinking long-term, we can understand how we’re manipulated. Thinking collectively, the people in the Wellville communities can decide to manipulate themselves positively rather than negatively. This is not a process of surreptitiously manipulating people into healthy behavior, but instead doing so openly and with those people’s active engagement. Just as a dieter is advised to remove unhealthy foods from their house, we want people to remove unhealthy foods from their communities or at least to put them on the virtual top shelf, and to support and benefit from subsidies on the good stuff. That means changing the food supply to make healthy food a default rather than a difficult choice. We’re not crazy enough to talk about taxing sugar, for example, but rather about subsidizing healthy food, spending on refrigeration rather than chemical preservatives, and so forth. So, in practical terms, how am I hoping to get people to think and to act long-term without manipulating them? Children are key. Most of us can probably agree that it’s okay to constrain what children eat and to educate them; that’s not an undue abridgement of their freedom. So many of Wellville’s suggested tactics – to be selected and implemented by the communities themselves, not by us – will start with children. School lunches will be healthy, and they’ll be supplemented by classes in nutrition and cooking and agriculture. To be sure, there will be arguments over what is healthy and what those constraints should be. Different communities will probably impose different constraints, either communitywide or with subsets of people trying different diets or levels of exercise. That’s okay: We know some of what works, but we don’t know the details. Learning is a major purpose of Wellville: to take the risks and time to find out what works in the real world so that in the future people can make better-informed choices. For example, not Does such-and-such a diet work? But, also, Can a normal group of people actually stick to such-and-such a diet? It may be that changing the timing of food consumption – the breakfast like a king, lunch like a prince, dinner like a pauper approach – matters more than meticulous calorie counting, and is easier to do, especially if your neighbors do it with you. Let’s find out! And finally, there’s education. Not brainwashing, education! My favorite idea is the mouse house: Every first-grade class should have its own set of four mice, kept separately. Two get a running wheel, and the other two are sedentary. Of each pair, one gets a healthy diet, while the other eats cookies, ice cream and hot dogs. The class gets to feed them and watch what happens to them. Of course, they’ll be reporting all this to their older siblings and their parents. Fortunately for first graders, less so for mice, mice are not as long-term as people, so the effects should be visible in a couple of months. After, say, two months, the children can vote to ‘rescue’ the mice from mistreatment. Or if we get lucky, they’ll be sued by People for Ethical Treatment of Animals! Wellville, in short, is not a thought exercise. It’s a practical, real-world attempt to make long-term impacts visible, both to television viewers and to data scientists. Long-term thinking and collective action are two sides of the same coin. Each moves from the constrained center to a broader view of the impact of one’s behavior, on oneself over time, or on other people whom one can encompass in a broader sense of self. Carne, can you help us spread Wellville outside the US? We’d love to see it copied worldwide, but long-term thinking starts at home. 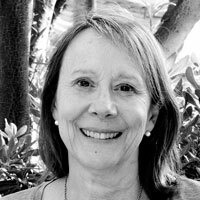 Esther Dyson sits on the board of the Long Now Foundation, as well as the Eurasia Foundation and the National Endowment for Democracy. She is chairman of EDventure Holdings and an investor in a number of start-ups concerned with health care, biotechnology and space travel. Originally a journalist, she wrote Release 2.0: A Design for Living in the Digital Age in 1998 and trained as a backup cosmonaut in Russia from 2008 to 2009. Carne Ross founded the world’s first not-for-profit diplomatic advisory group, Independent Diplomat. He writes on world affairs and the history of anarchism, recently publishing The Leaderless Revolution (2011), which looks into how, even in democratic nations, citizens feel a lack of agency and governments seem increasingly unable to tackle global issues.